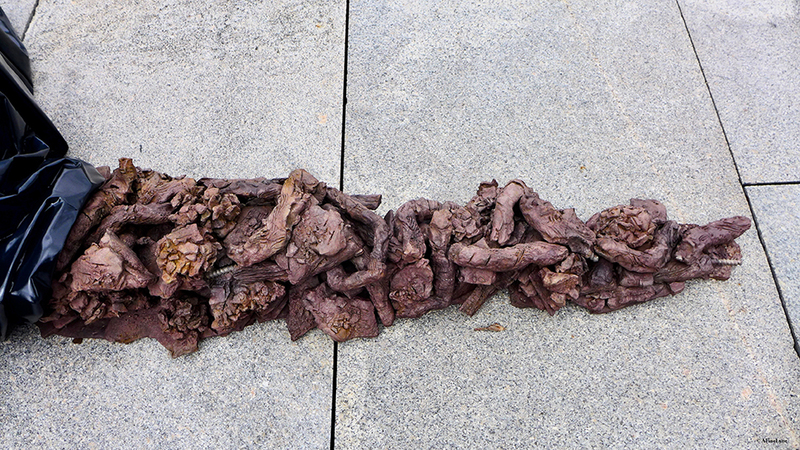 The above eighteen-foot long, bowing sculpture, entitled Urdu ~ meaning ‘without name’, is one of two large figures. 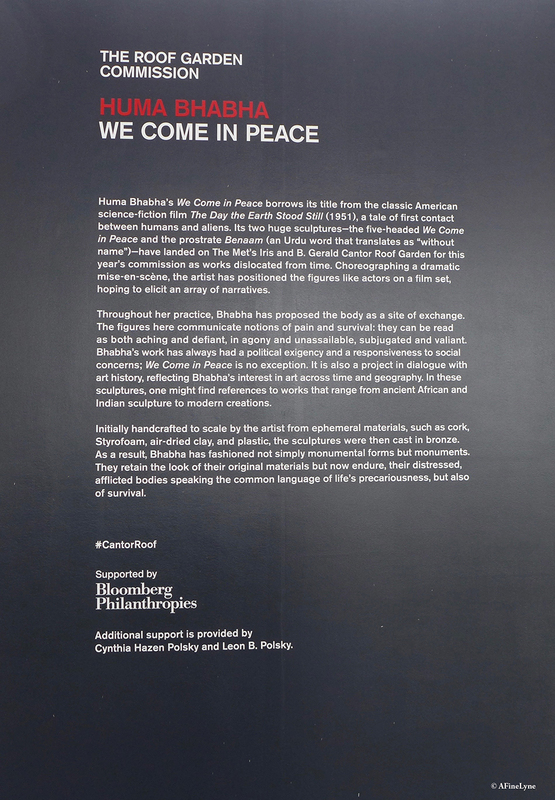 Bhabha describes her sculptures as “characters” “that, through their materiality, rough construction, and references to the history of sculpture, become rich screens for projections of psychological depth.” All of her sculptures incorporate art-historical references. 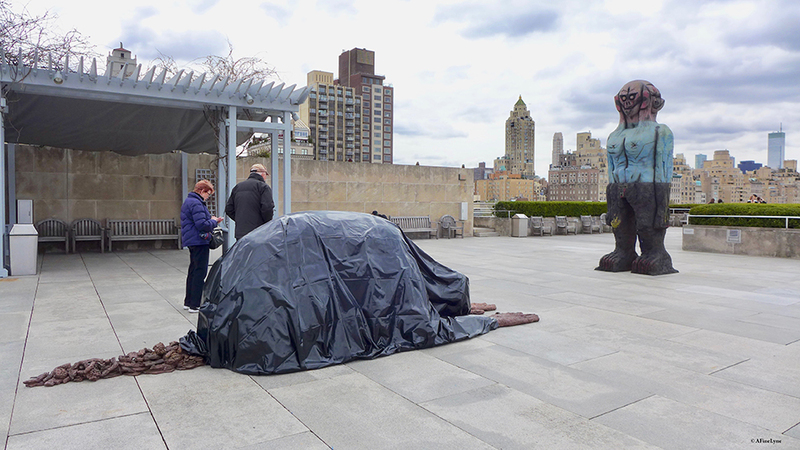 We Come in Peace by Poughkeepsie-based artist, Huma Bhabha arrived on The Roof Garden of the MET this week. This site-specific installation addresses themes of colonialism, war, displacement, and memories of place. Her ‘haunting figures’ were created using found materials such as clay, Styrofoam, cork and cast in bronze. 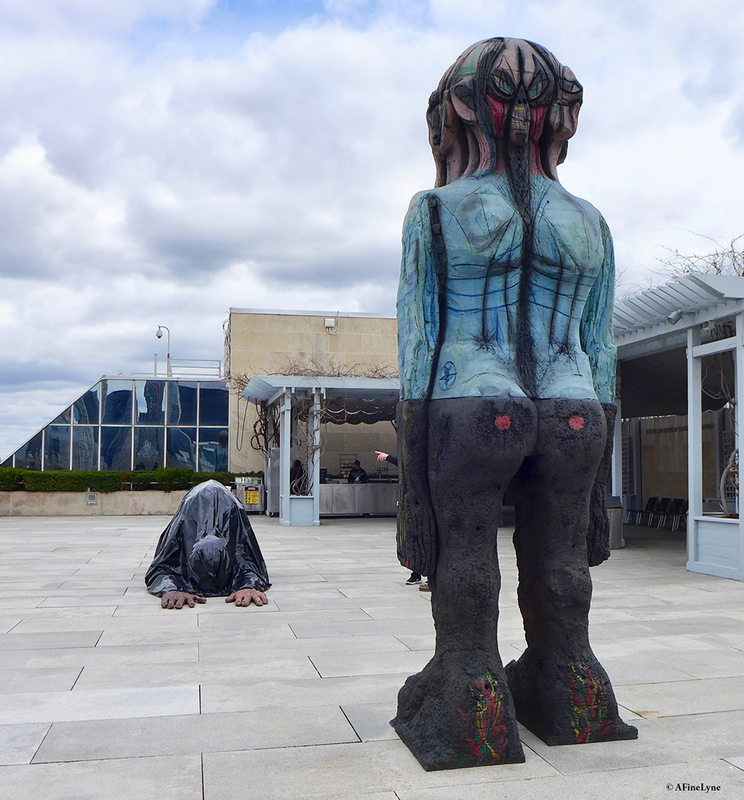 The above twelve-foot tall, five-headed standing sculpture, is entitled ‘We Come In Peace’ and appears as if The Met Roof Garden is its landing pad. 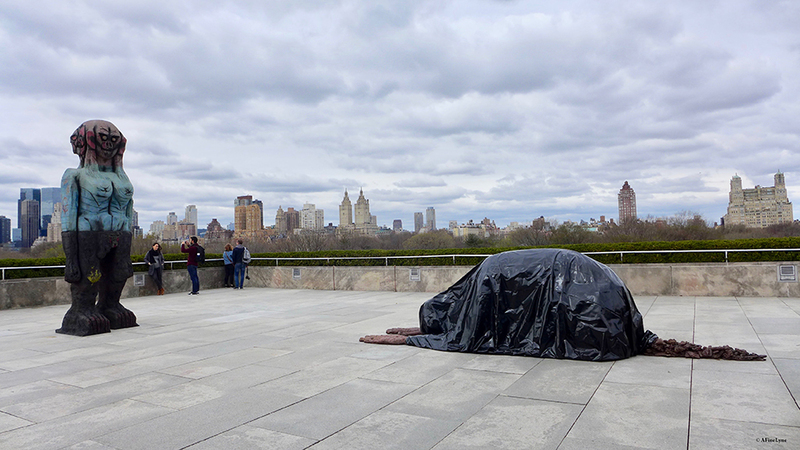 The artist’s sci-fi characters are set against a 360 degree backdrop of Central Park and the skyscrapers of Manhattan, adding to the narrative of a first contact between humans and aliens. The sculptures speak to the precariousness of life, being created from materials that don’t endure the elements, by covering them in a material that will. 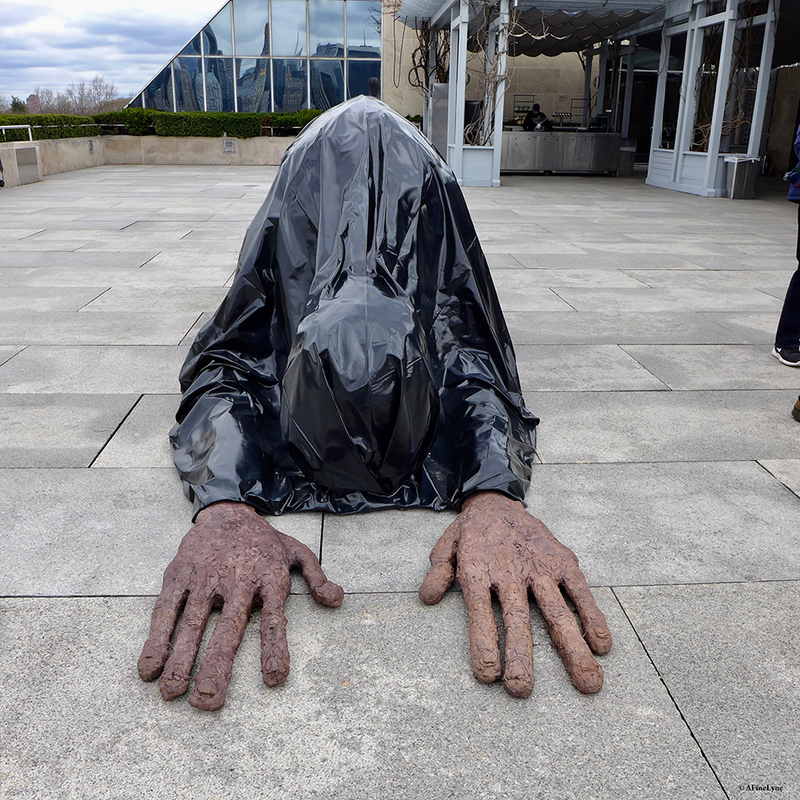 Huma Bhabha was featured as one of sixteen creative thinkers in the 2012 film ‘From Nothing, Something: A documentary on the creative process,” which has screened at multiple film festivals. In 2013, Bhabha was awarded a Berlin Prize Fellowship at the American Academy in Berlin. In 2016, she was honored by the Museum of Modern Art (NYC) during the museum’s annual “Party in the Garden” celebration, and also served on the jury of the prestigious Nasher Prize, awarded by the Nasher Sculpture Center. 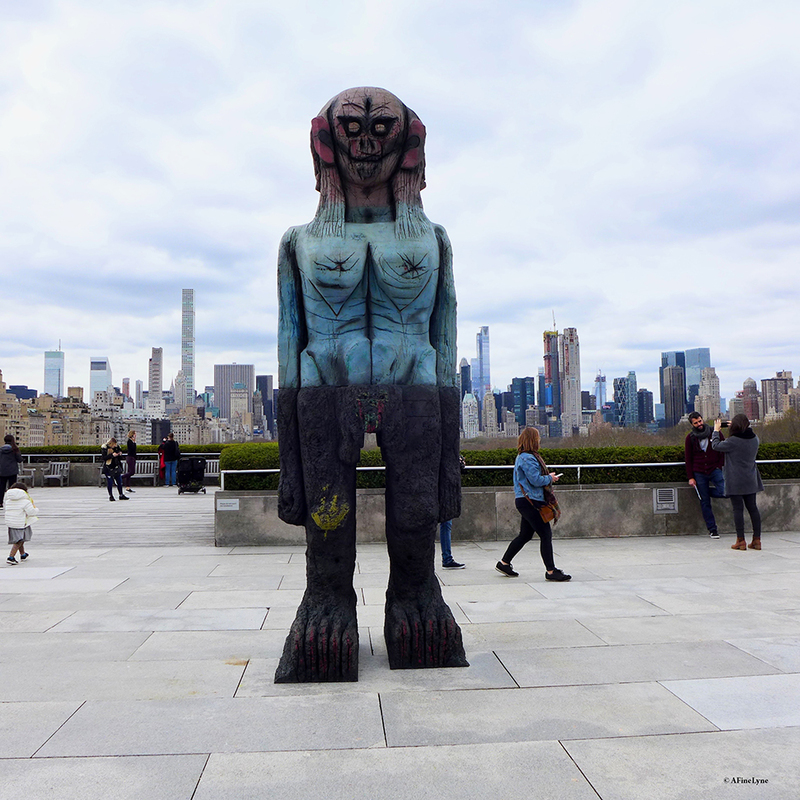 Huma Bhabha, We Come in Peace will be on view from April 17 through October 28, 2018 on The Met’s Iris and B. Gerald Cantor Roof Garden. This is the sixth in a series of site-specific commissions for the outdoor space.